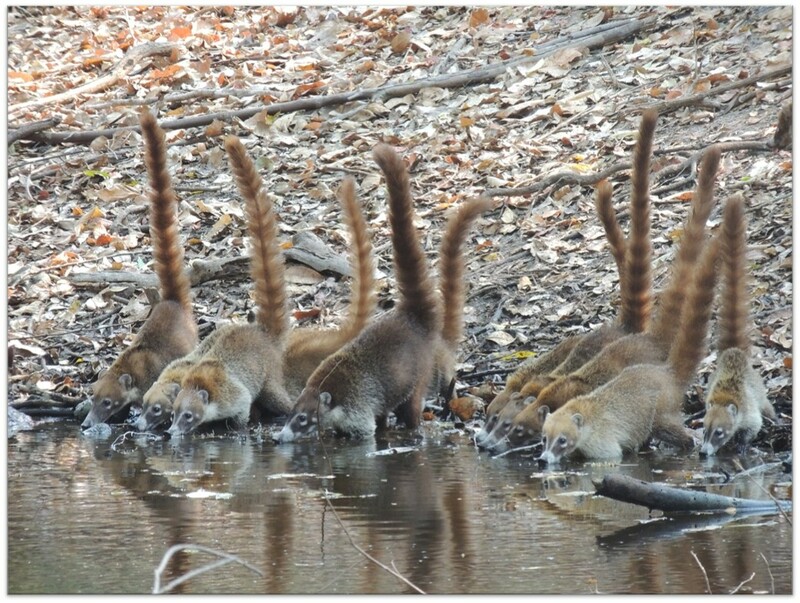 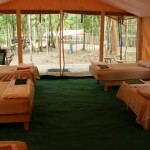 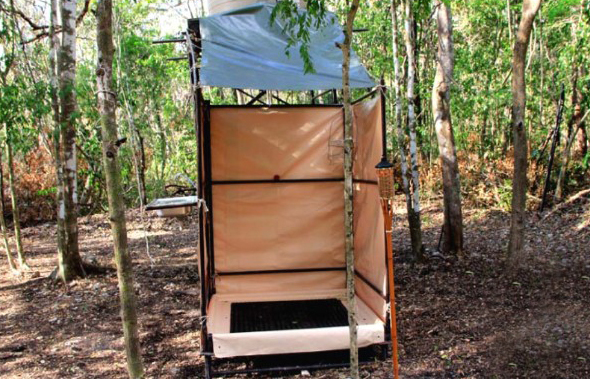 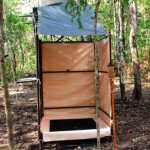 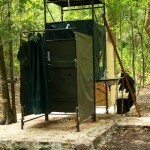 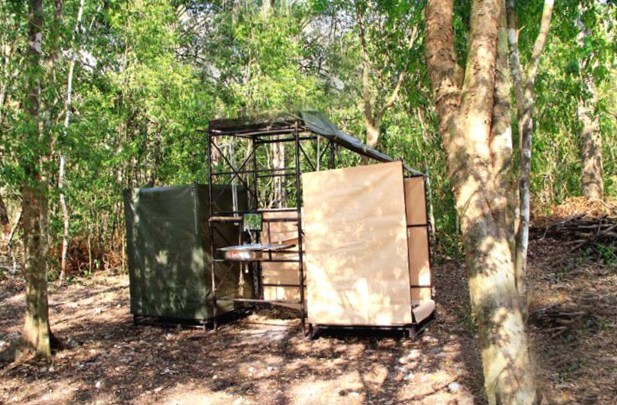 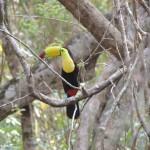 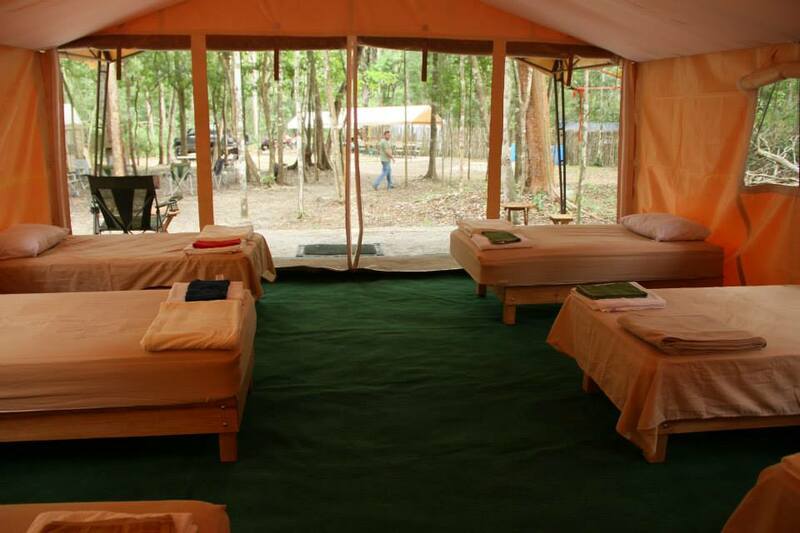 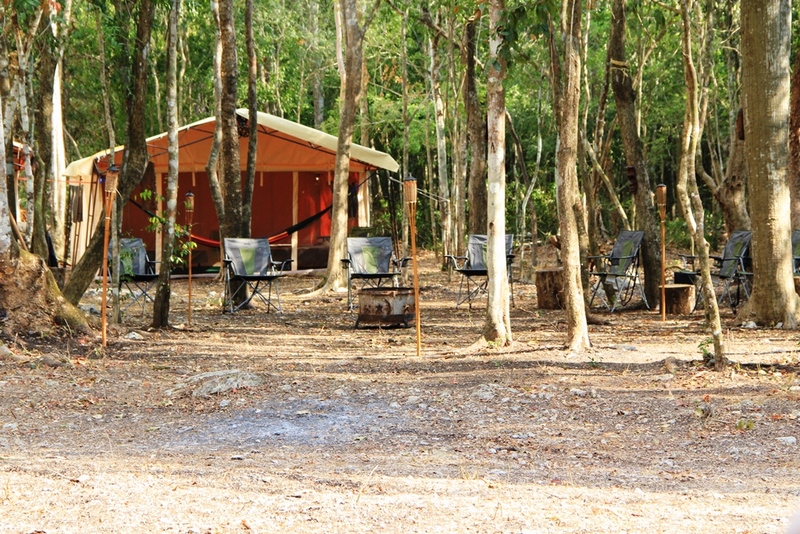 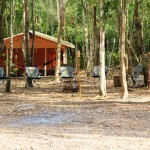 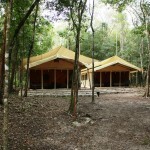 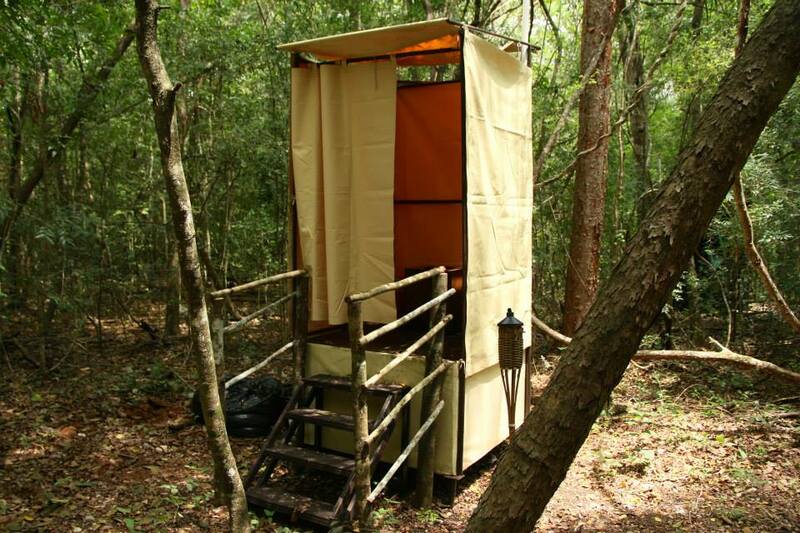 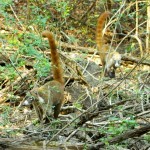 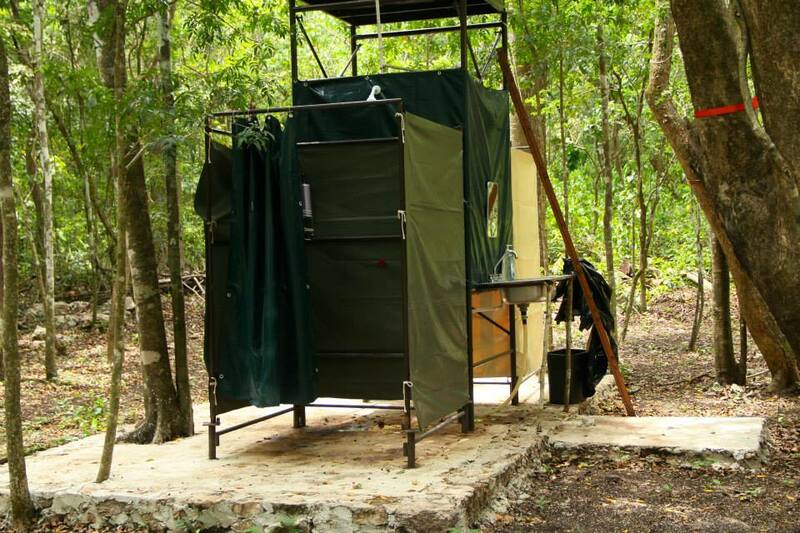 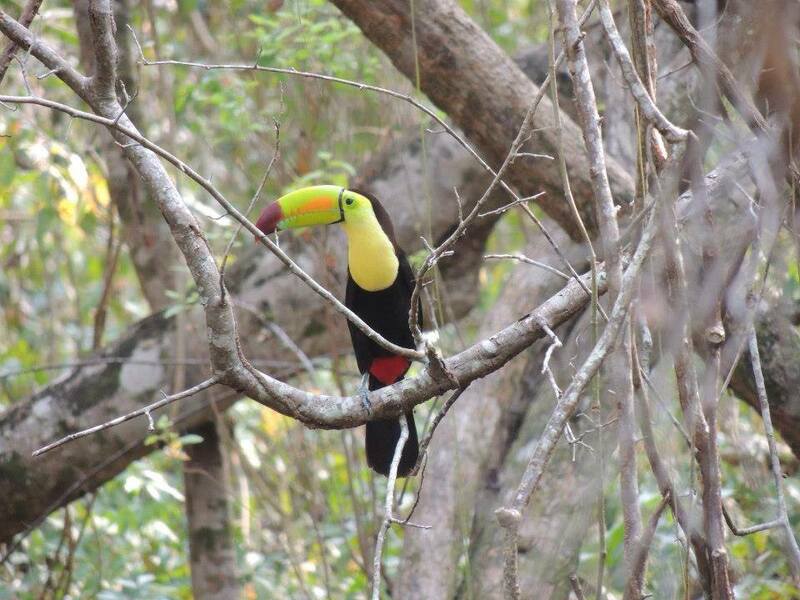 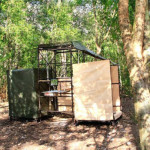 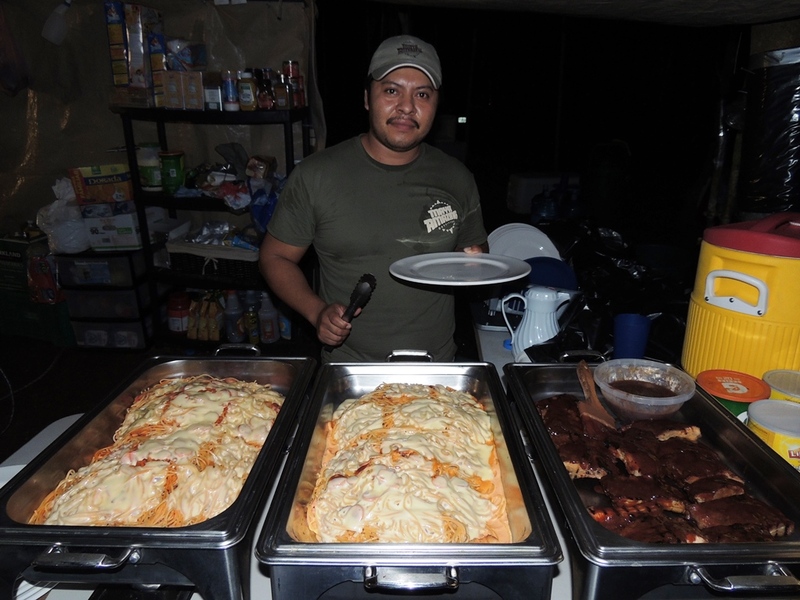 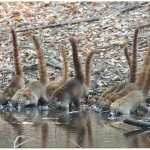 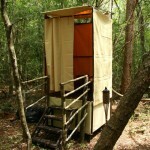 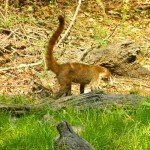 Our Jungle Camp Outfitter located in the Yucatan offers a true Jungle Safari experience! 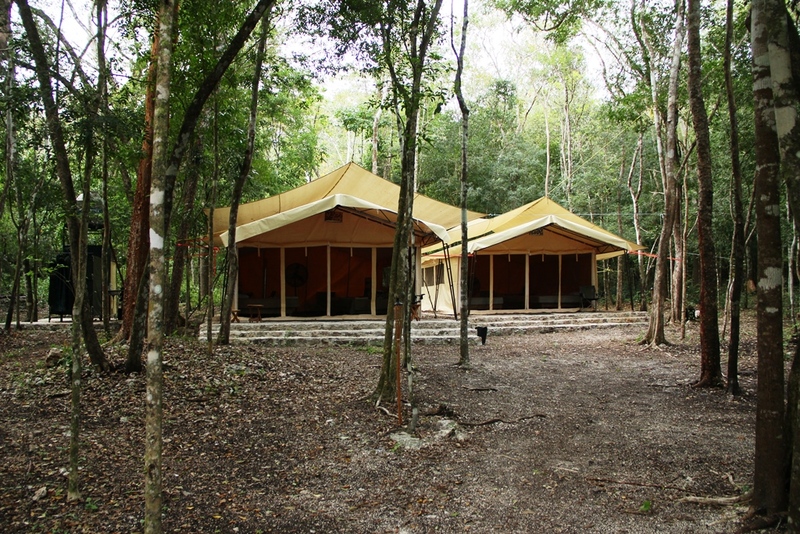 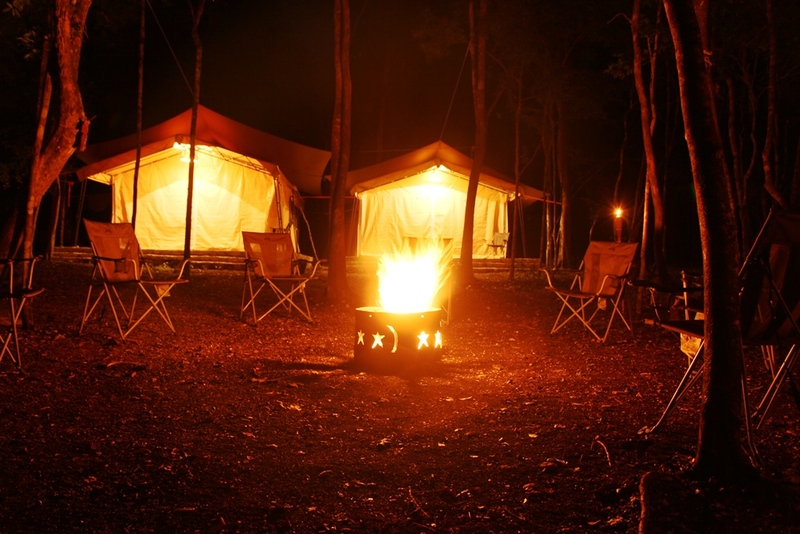 Jungle Camps, with Safari Tent Style accommodations ( with Air Conditioning Included), will serve as home base for this amazing experience. 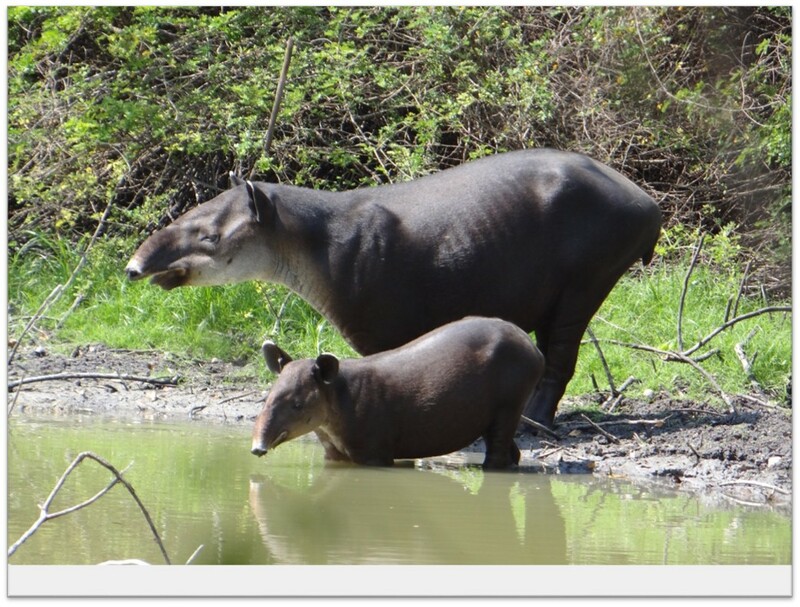 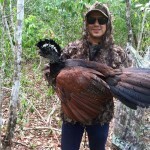 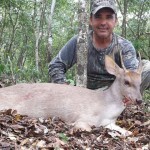 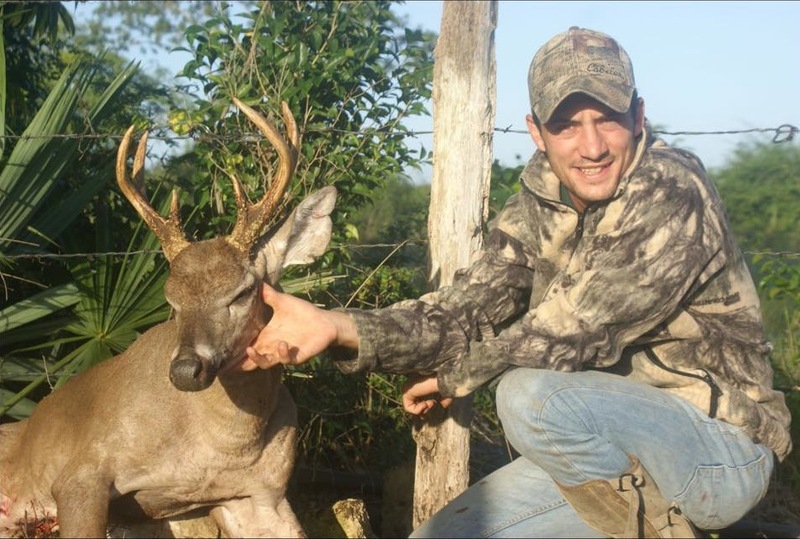 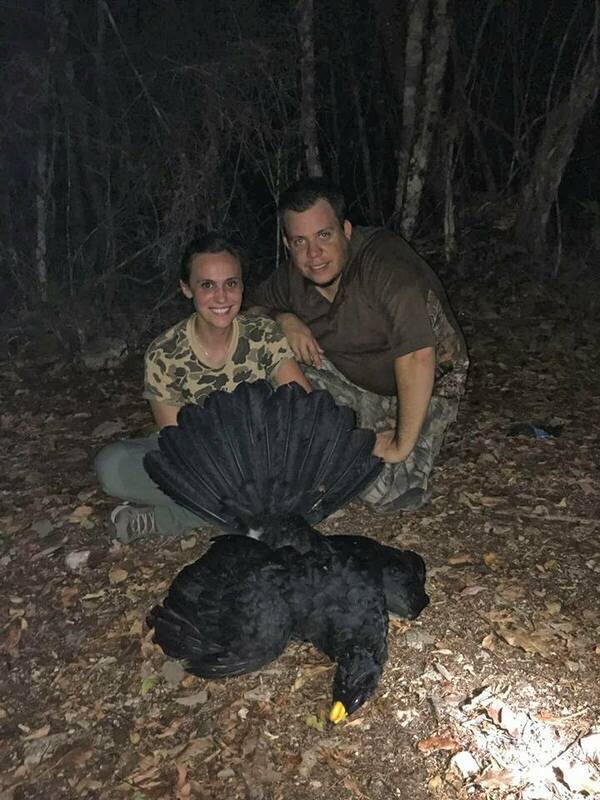 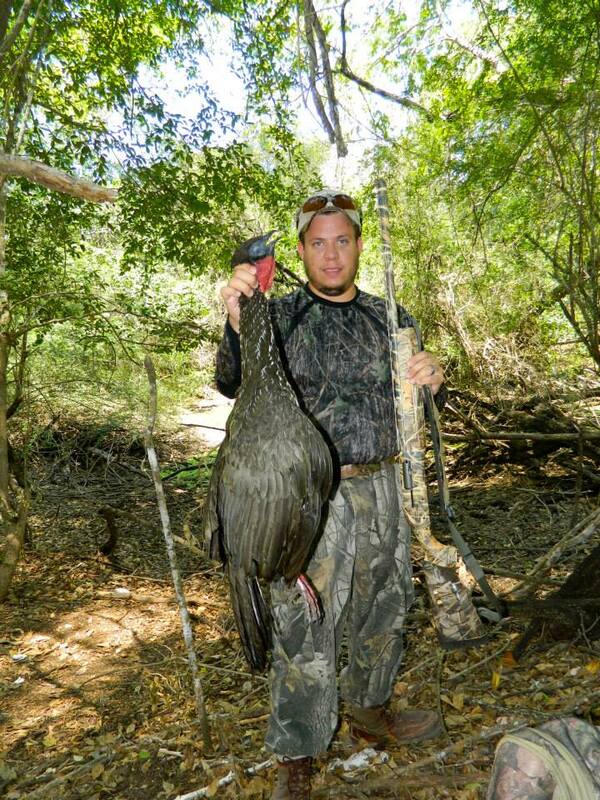 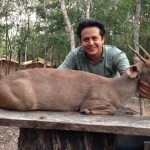 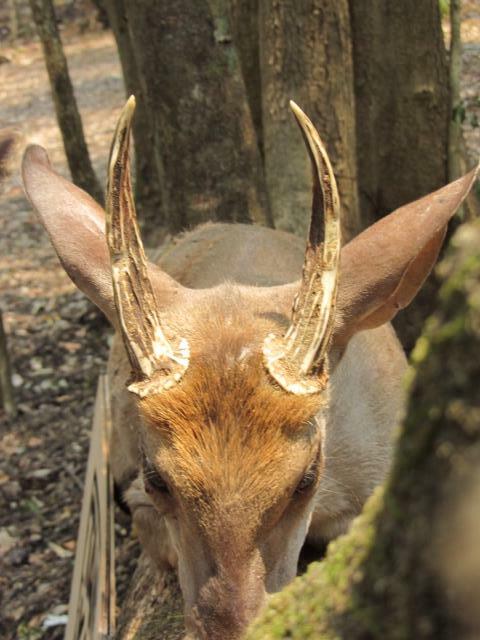 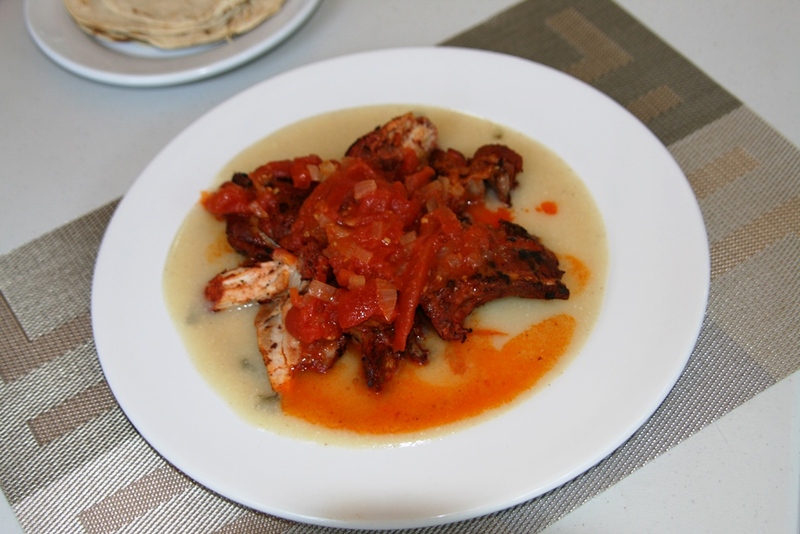 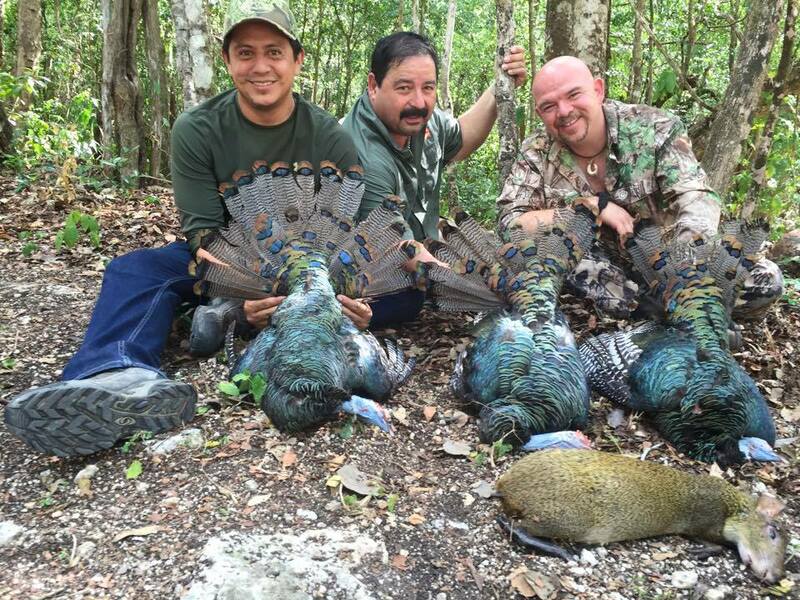 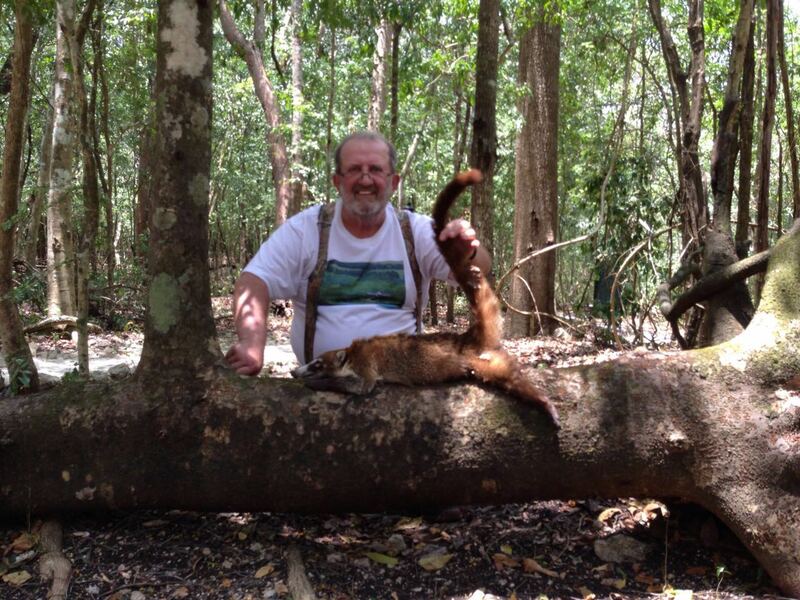 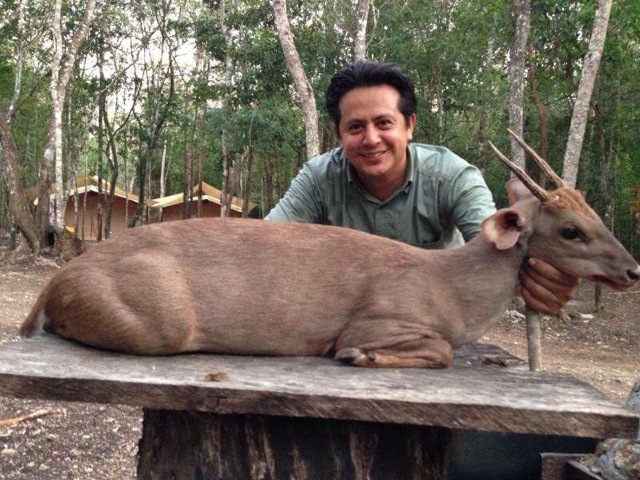 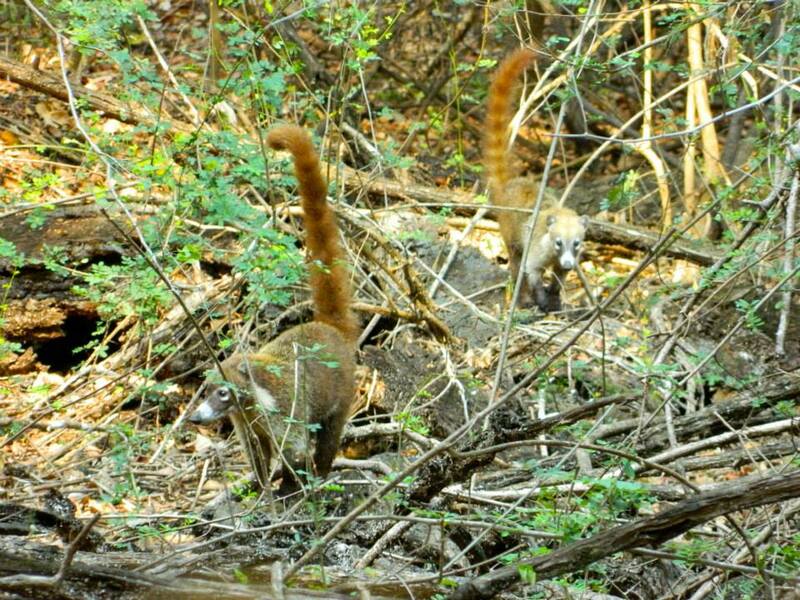 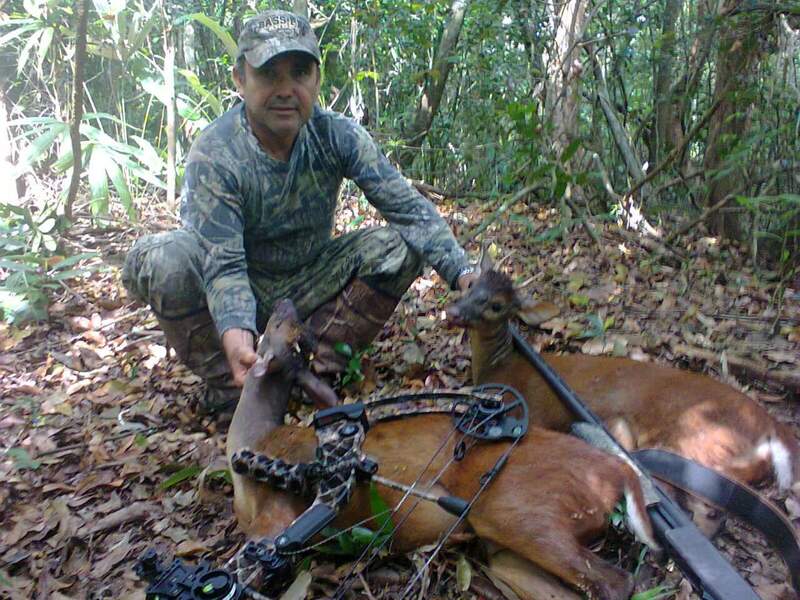 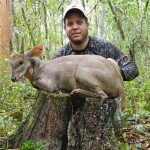 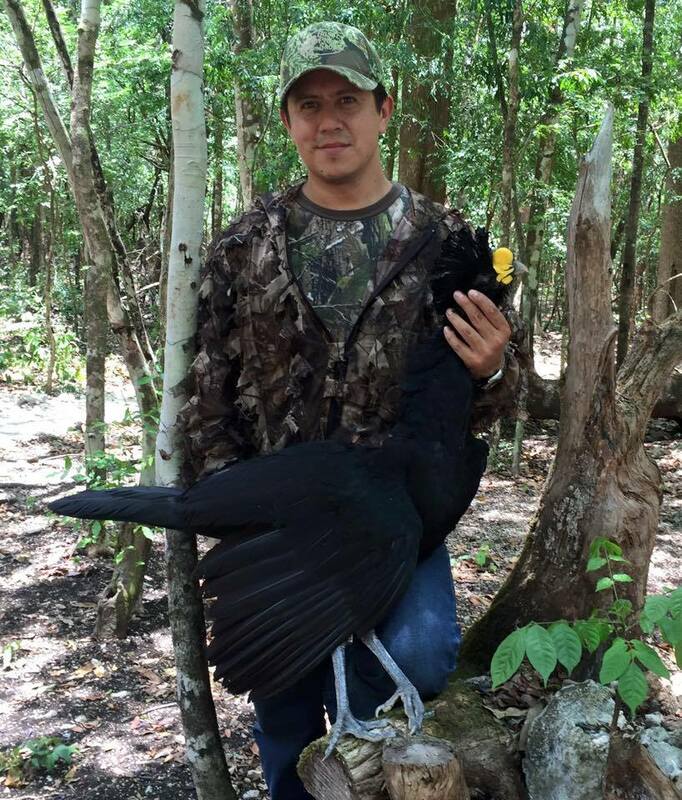 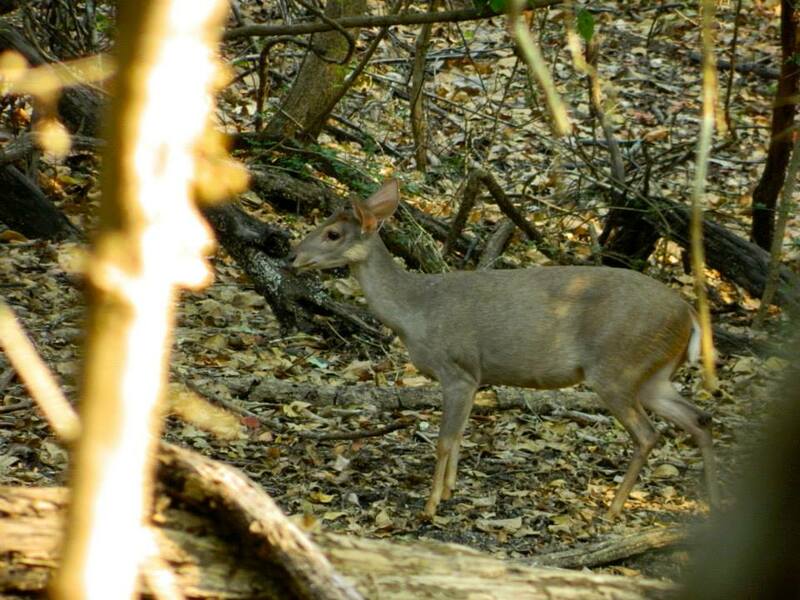 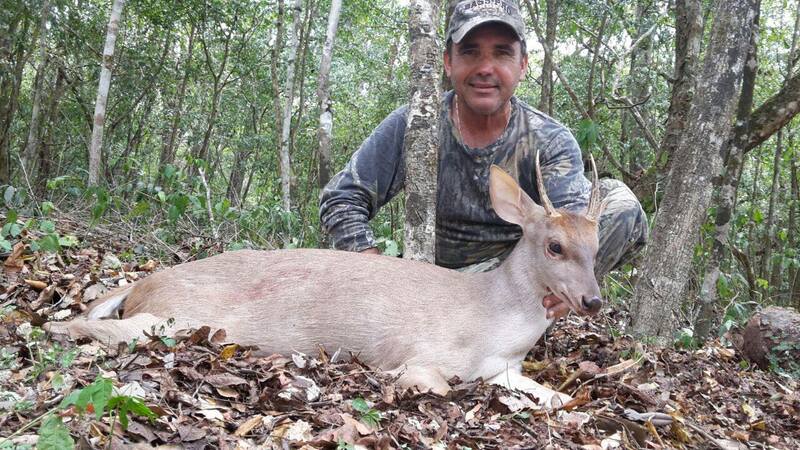 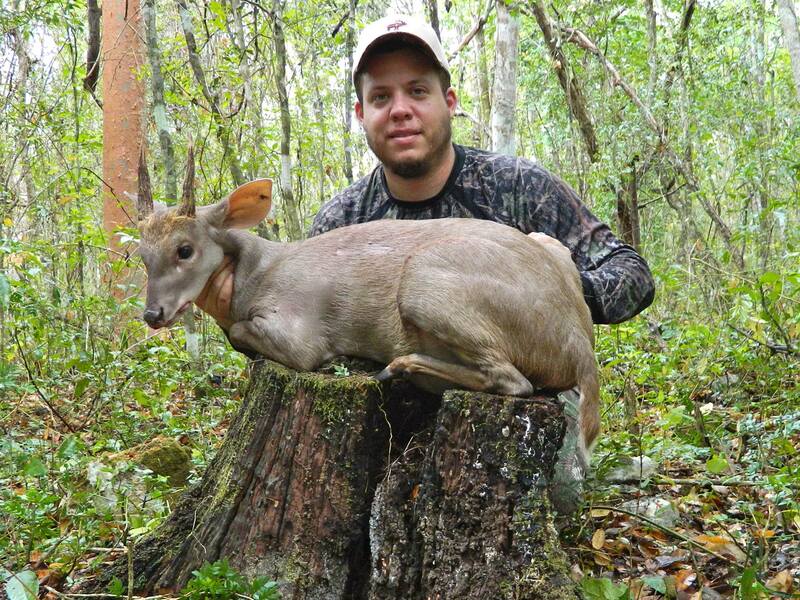 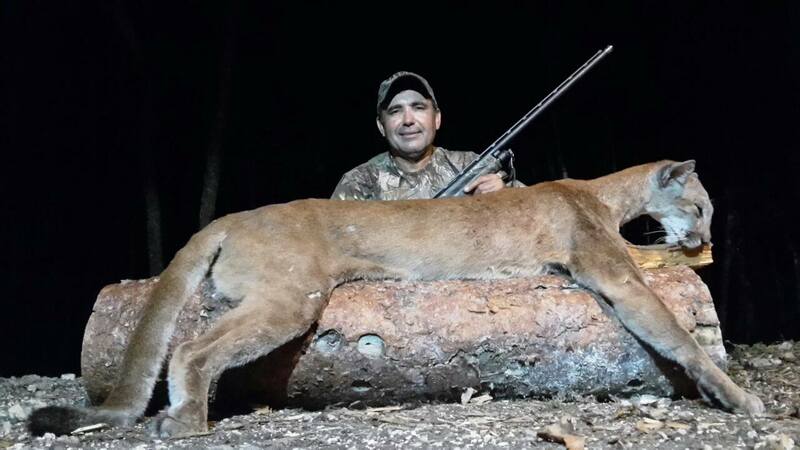 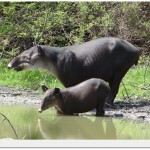 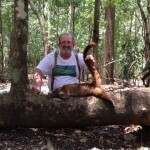 The main hunting area is the southern region of the state of Campeche, where the terrain, vegetation and climate presents a real challenge for those hunters who are looking for an excellent hunting experience in the jungle. 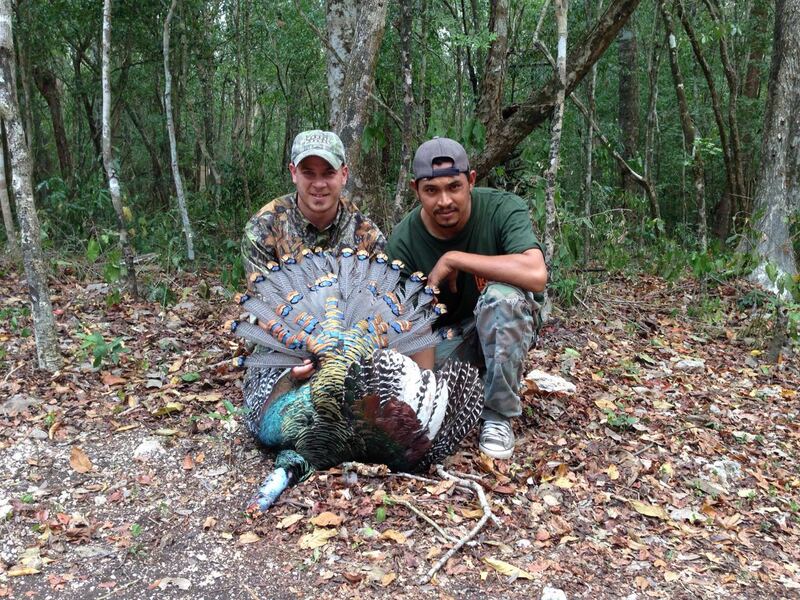 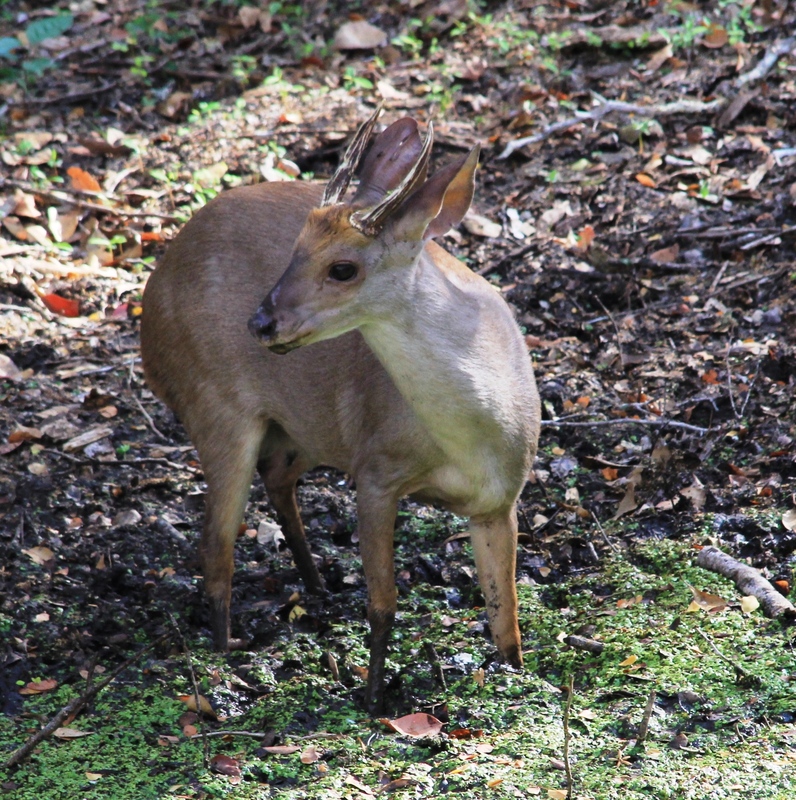 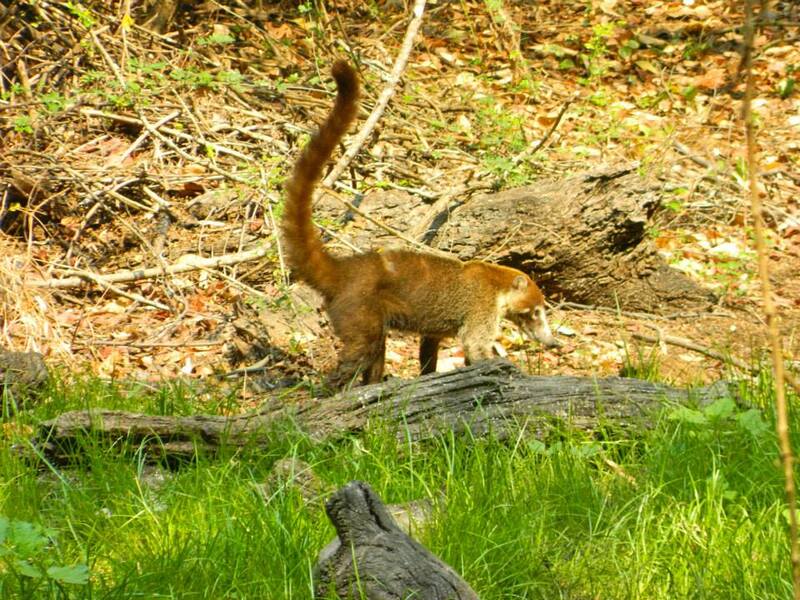 The hunting area borders the Calakmul Biosphere Reserve, one of Mexico´s biggest wildlife reserves and that our areas cover more than 50,000 acres of pristine and unspoiled jungle. 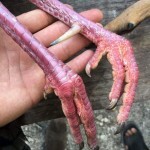 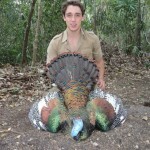 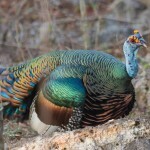 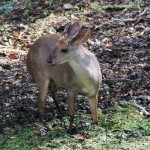 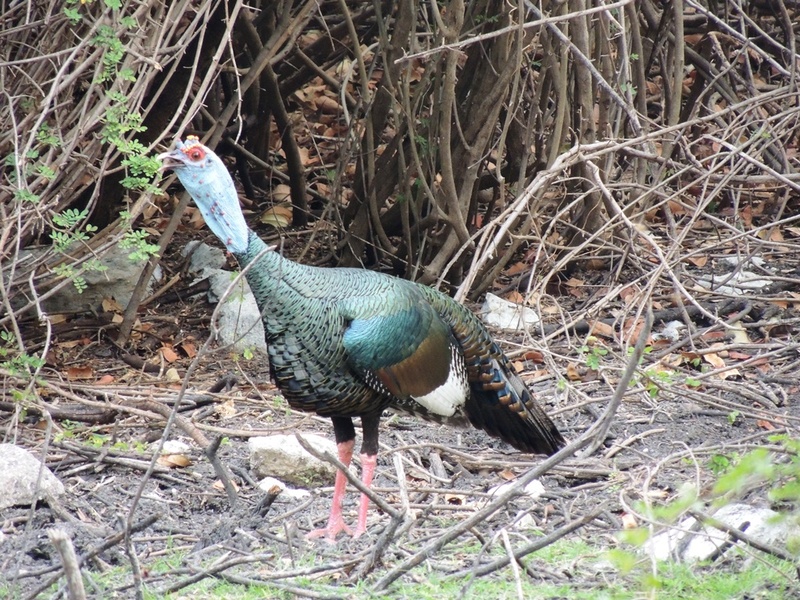 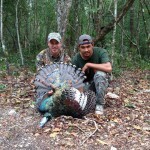 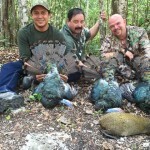 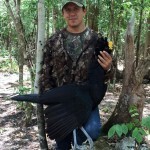 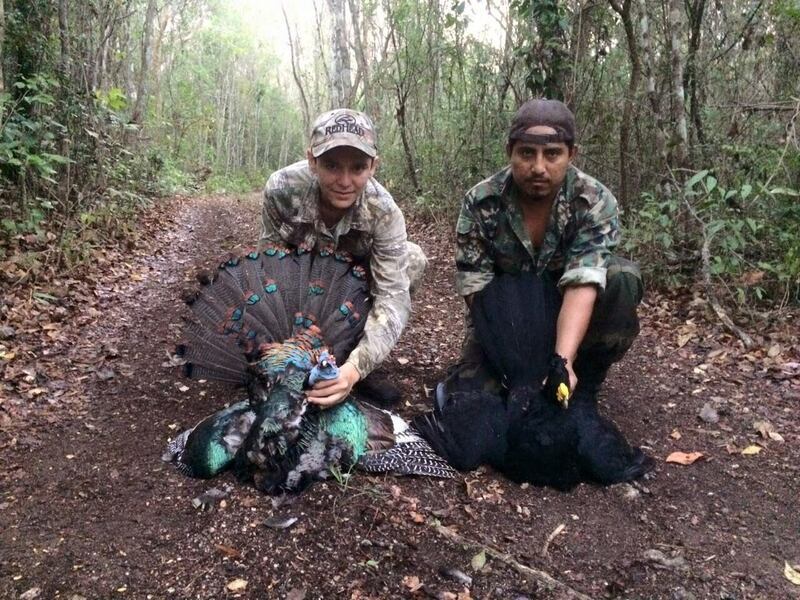 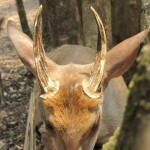 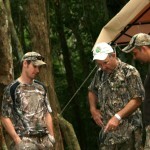 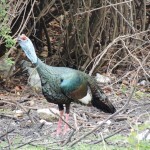 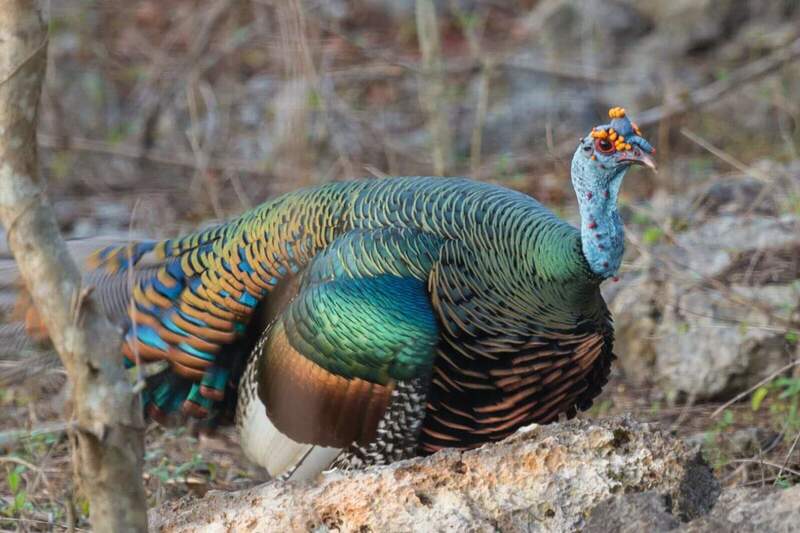 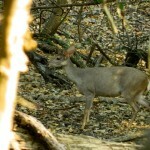 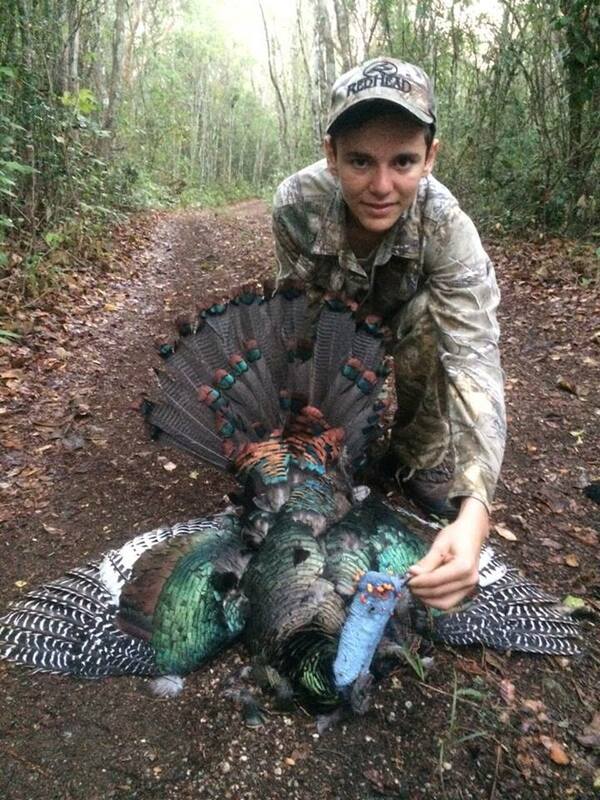 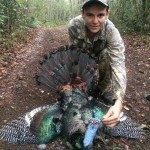 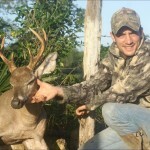 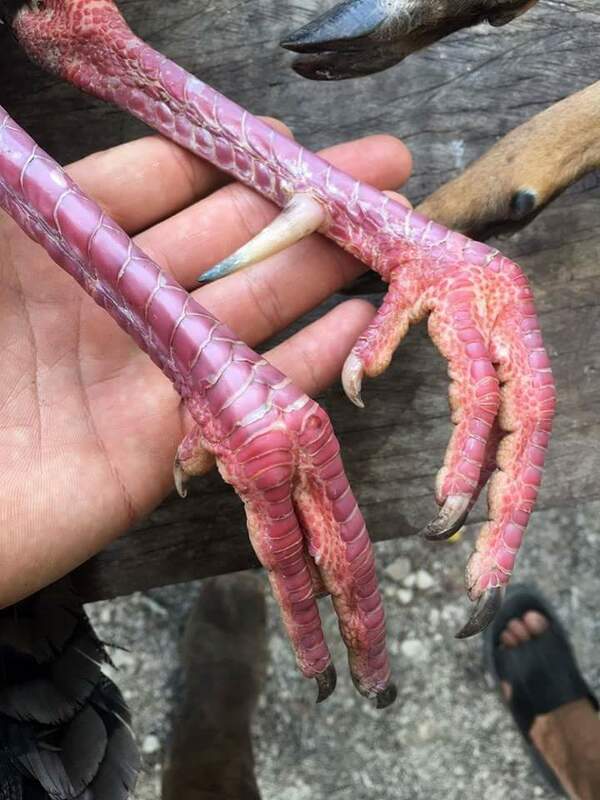 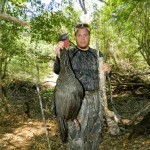 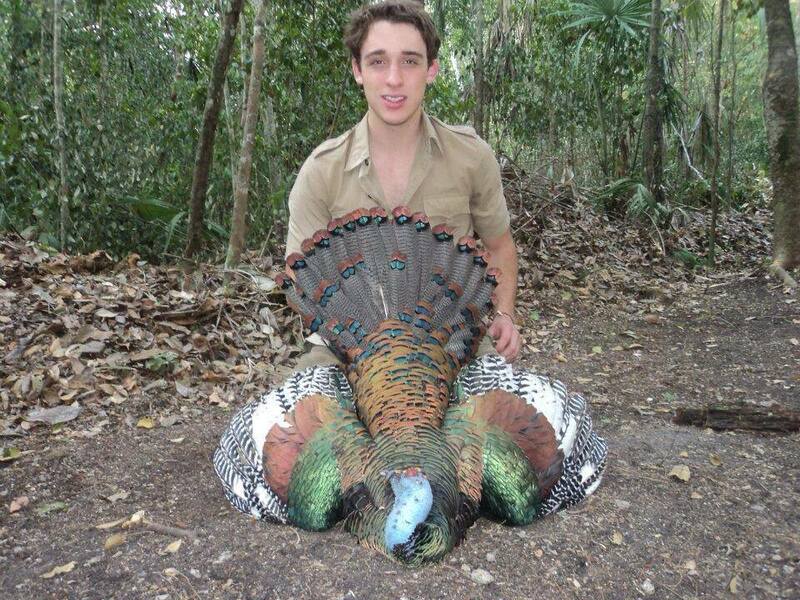 Some of the trophies available in this hunting areas are the famous and coveted Ocellated Turkey and the Brocket Deer. 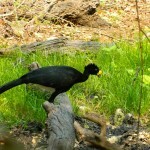 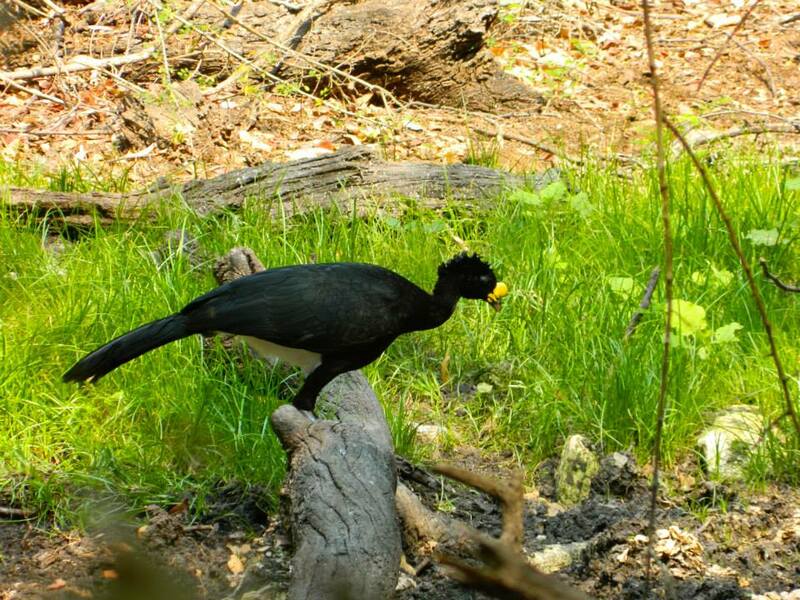 The area also has important species like the Greater Curassow, Forest Puma, Collared Peccary, Crested Guan, White-tailed Deer and others. 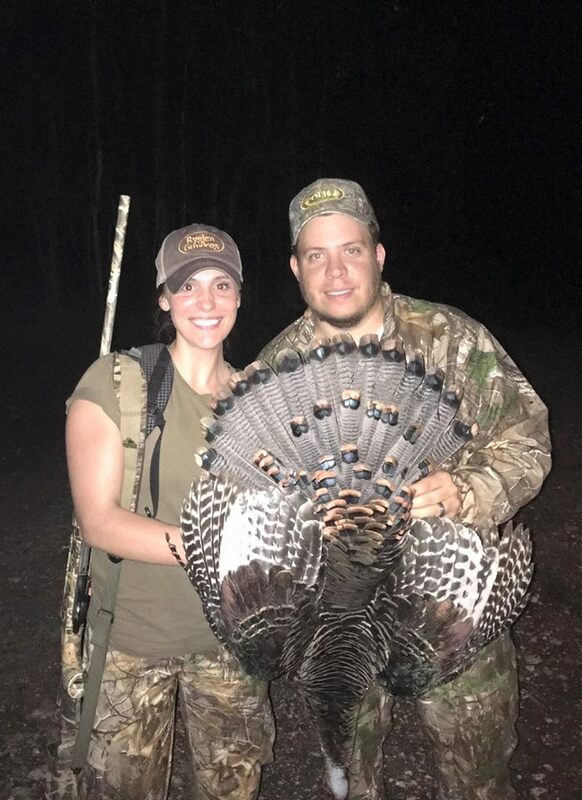 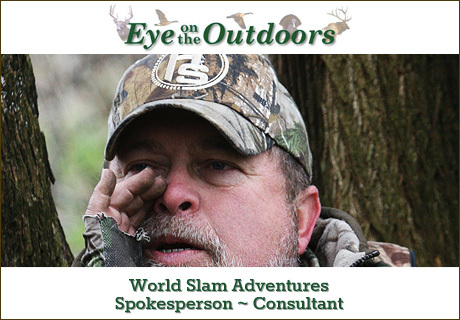 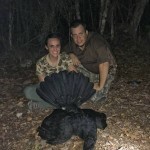 Our outfitter has years of experience in this region and having guided and entertained so many hunters over those years, you can be assured they will attend first hand, to all of the hunter’s needs regardless of their level of experience. 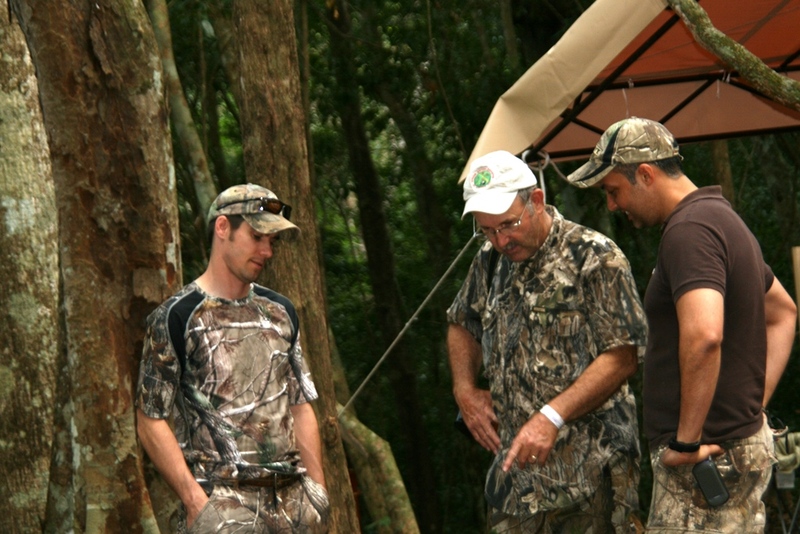 All of this thanks to the guides which are some of the best in the area as well as the owners that have over 10 years exploring this region and they know it perfectly, guaranteeing sightings in each hunt. 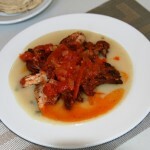 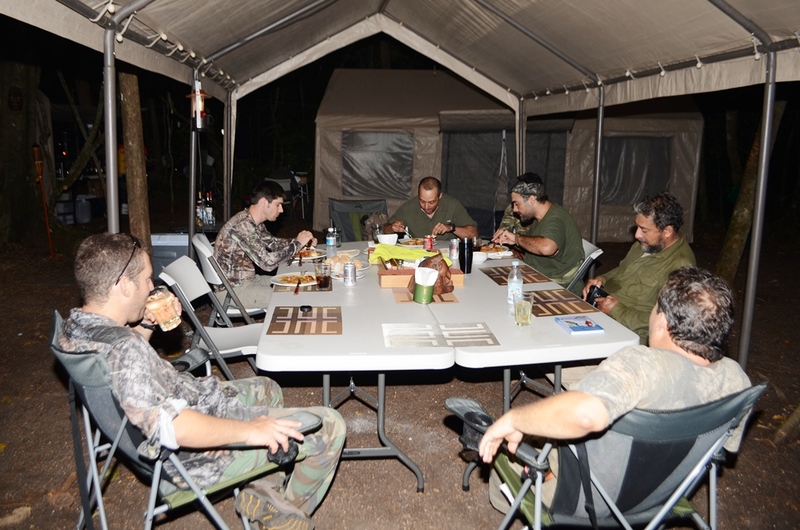 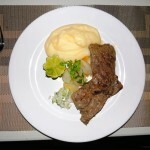 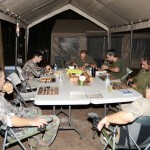 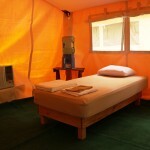 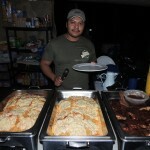 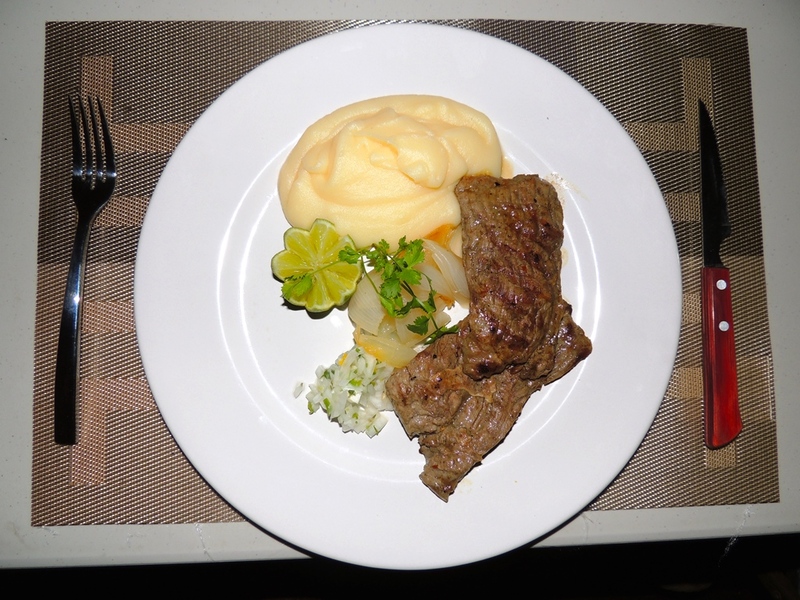 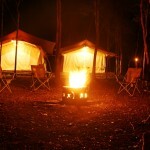 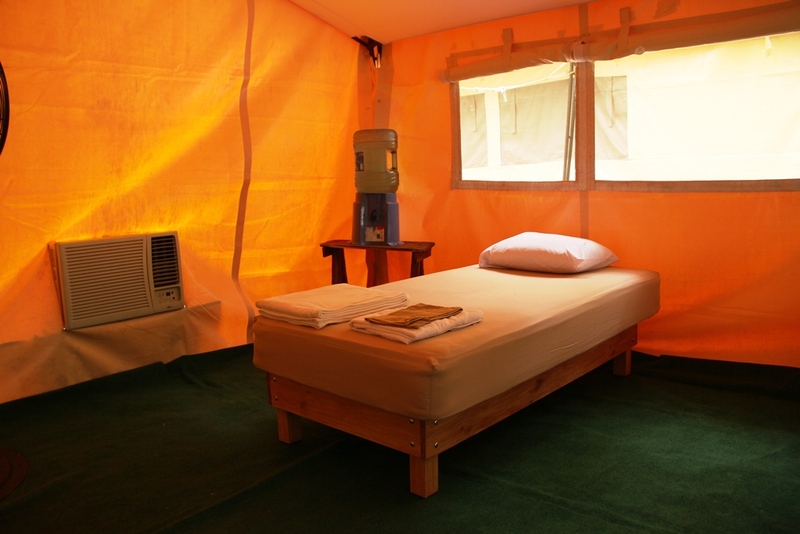 In addition to their vast experience, they offer some the best and most personalized service in the region…Camp Hosts are on hand assuring that the hunters feel at home, an international chef preparing world class meals, and spacious air-conditioned luxury tents are some of the services available to you in these camps.